The Freedom From Religion Foundation will be defending its housing allowance victory before the 7th U.S. Circuit Court of Appeals on Wednesday, Oct. 24. FFRF’s momentous challenge to preferential tax allowances given to “ministers of the gospel” could shake up the federal tax structure. Treasury Secretary Steven Mnuchin and several churches appealed a ruling last year by U.S. District Court Judge Barbara Crabb that found unconstitutional an IRS provision that allows housing allowance payments to clergy in tax-free dollars. This is the second time that a challenge to the clergy housing allowance will be heard before the 7th Circuit. 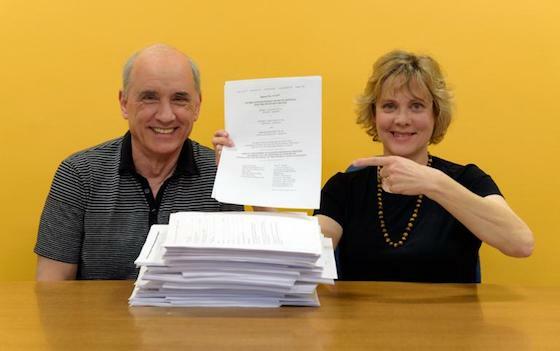 After FFRF won a similar challenge in district court in 2013, the 7th Circuit determined that plaintiffs Dan Barker and Annie Laurie Gaylor, co-presidents of FFRF, did not have standing to challenge the law because they hadn't yet sought a refund of their housing allowance from the IRS. Accordingly, they sought such a refund and when denied, went back to court. The court is now primed to rule on the merits of the case. The pair assert they are similarly situated to clergy as heads of a nontheistic group and that being denied the same benefits is discriminatory and clearly shows favoritism for religion. “Although defendants try to characterize § 107(2) as an effort by Congress to treat ministers fairly and avoid religious entanglement, the plain language of the statute, its legislative history and its operation in practice all demonstrate a preference for ministers over secular employees,” wrote Judge Crabb, for the Western District of Wisconsin, when she decided in favor of FFRF.